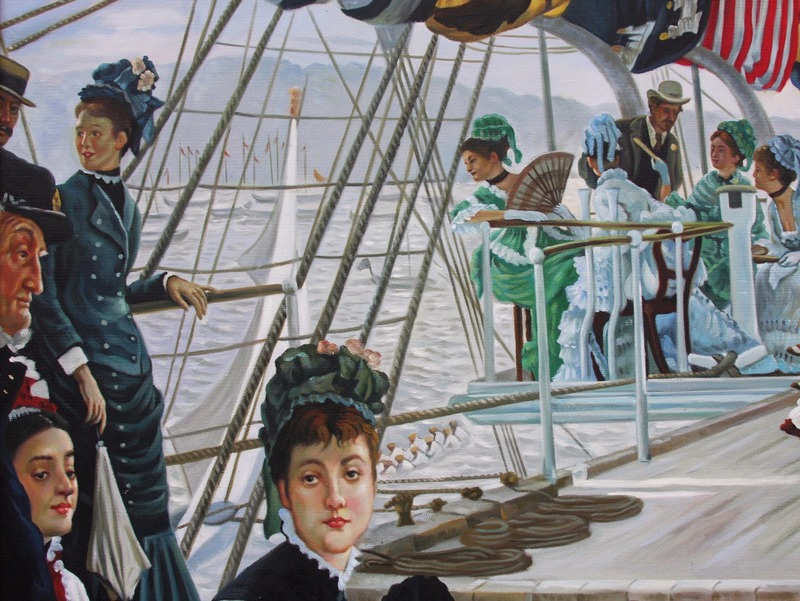 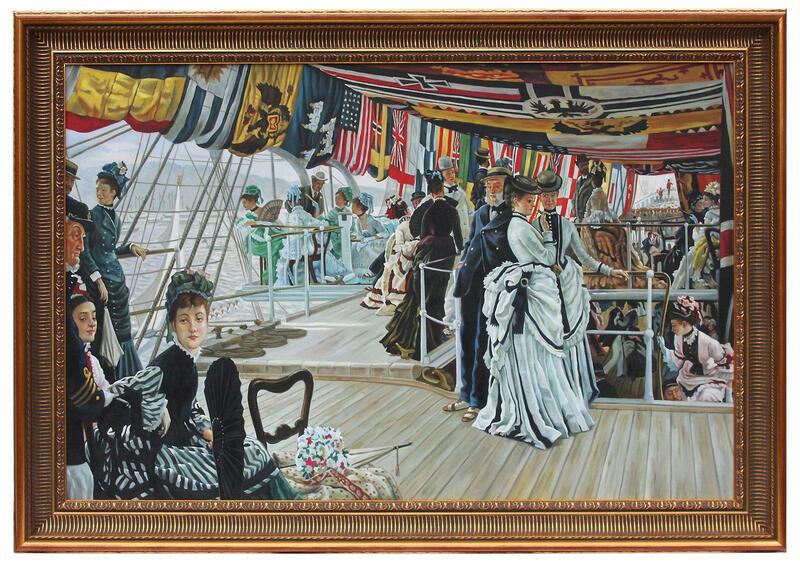 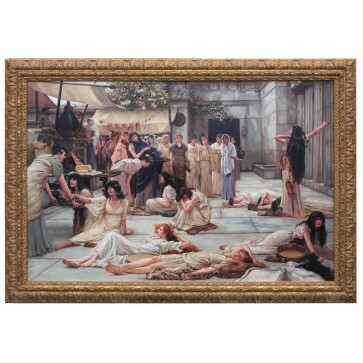 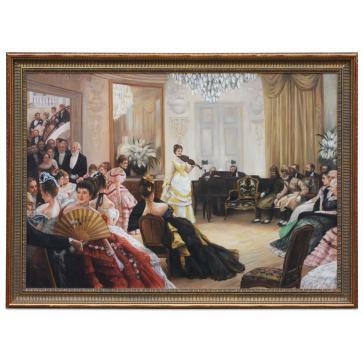 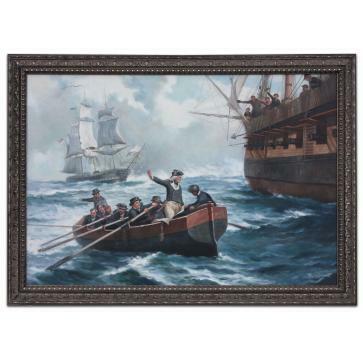 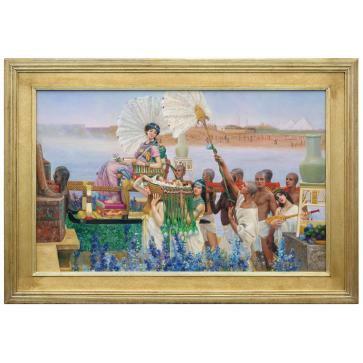 A specially commissioned oil painting, interpreting The Ball On Shipboard by James Jacques Joseph Tissot. 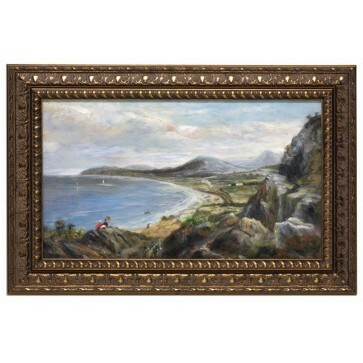 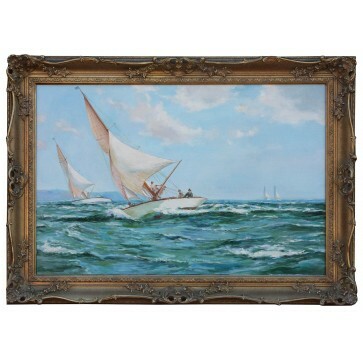 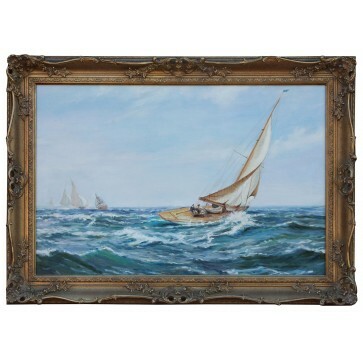 The original, circa 1874 hangs at Tate Britain and the impressionist painting shows men and women relaxing at an event thought to be the annual regatta at Cowes on the Isle of Wight. 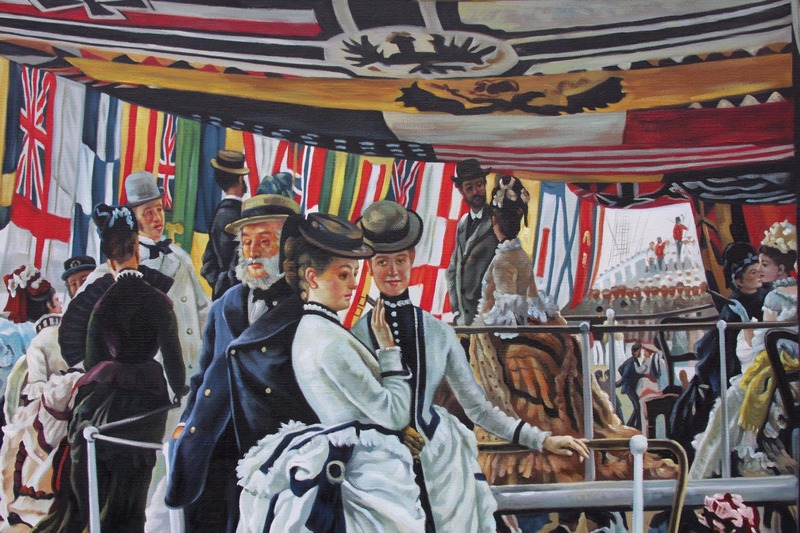 Tissot was very interested in Britain's high society and his fashionable Victorian social scenes were extremely popular bringing him celebrity and financial success. 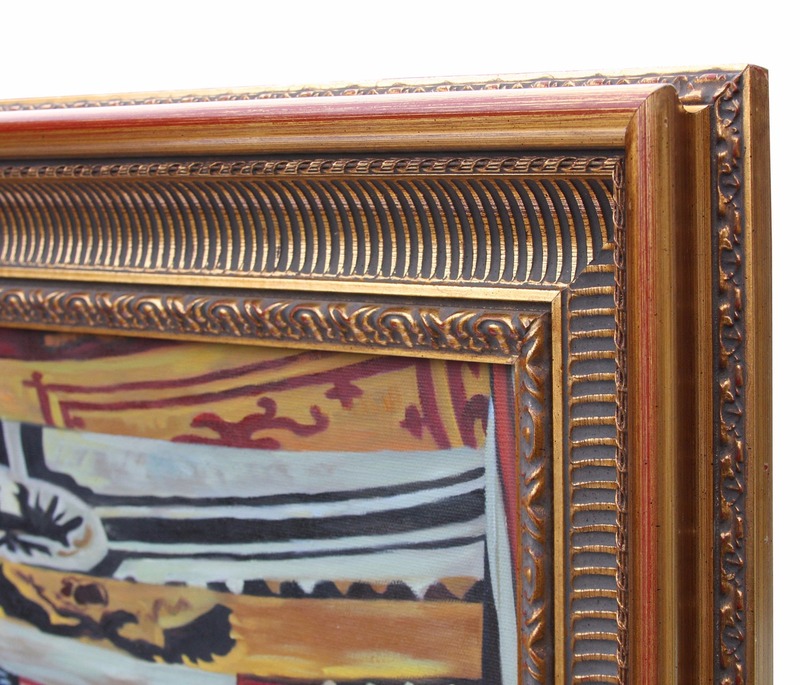 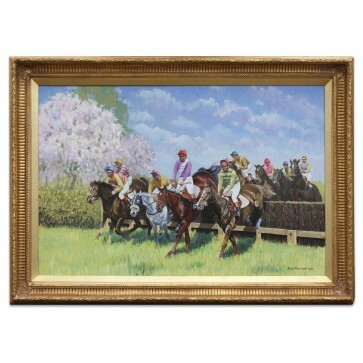 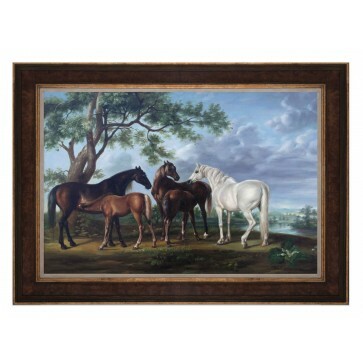 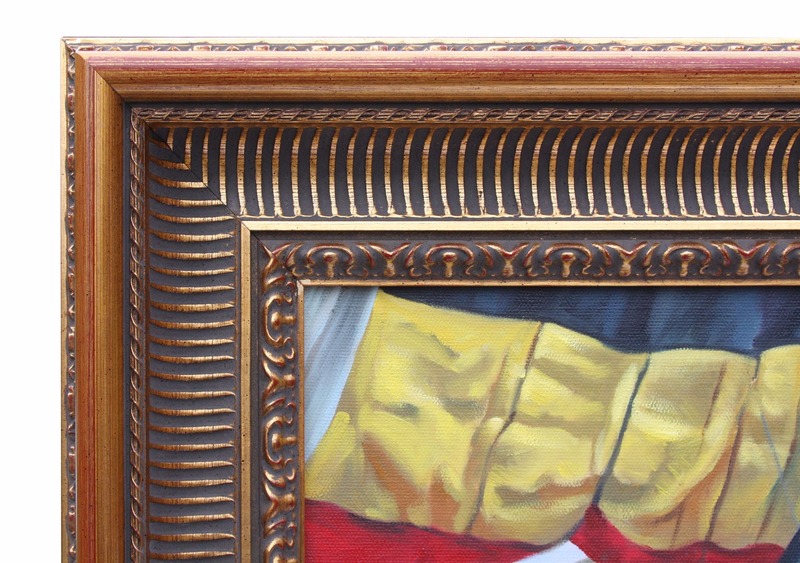 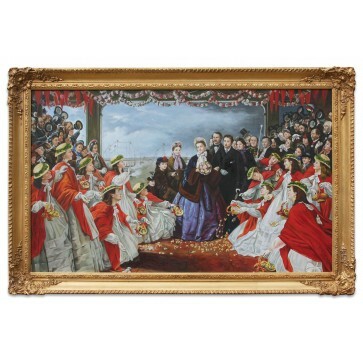 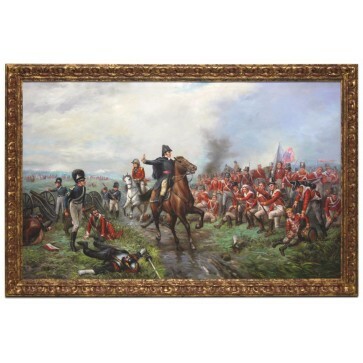 Strecthed and mounted in a reeded gilt frame with introduced wear to reveal a warm red beneath.